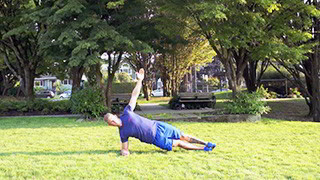 The side plank trunk twist is a beginner level core conditioning exercise that targets the abs and obliques. 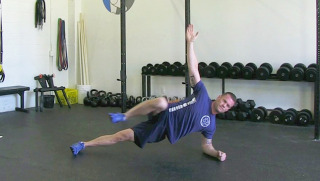 The side plank is a beginner level core conditioning exercise. 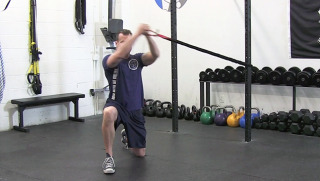 The bench side plank hip raise is a beginner level core exercise that targets the obliques and abs. 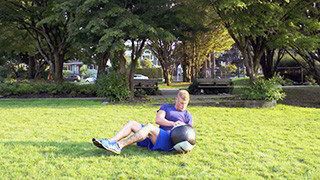 The Bosu push-up alternating toe taps is a beginner level core conditioning exercise that targets the abs and obliques. The Bosu plank alternating toe tap is a beginner level core conditioning exercise that targets the abs and obliques. 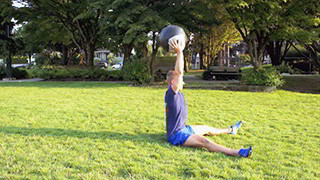 The butterfly sit-up is a core exercise that targets the upper and lower abs. 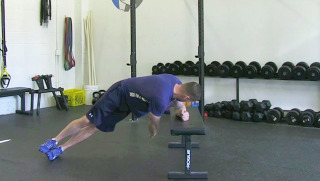 The plank knee to elbow is a core exercise that targets the obliques and abs.